It’s easy to put off or forget to do preventative maintenance, and the consequences can be huge. Roof inspections are quick, painless, and incredibly important for finding problems and predicting future issues that could become costly. We recommend looking over the shingles, chimney cap and flashing, vents, and gutters once per year. If you’ve noticed any issues such as leaking or ice damming, or if you have hail or wind storms, professional roof inspections and maintenance are critical for protecting your home. We check a number of things when we look at your roof. Twin Pines can also inspect your attic insulation. Even if your roof is inspected once a year, problems can happen at any time. Be aware of early signs of roof leaks. Are there any dark spots on your ceilings? Check if the paint is peeling underneath your roof overhangs. Look for water stains on the pipes that vent your furnace or water heater. Feel for dampness around your fireplace. 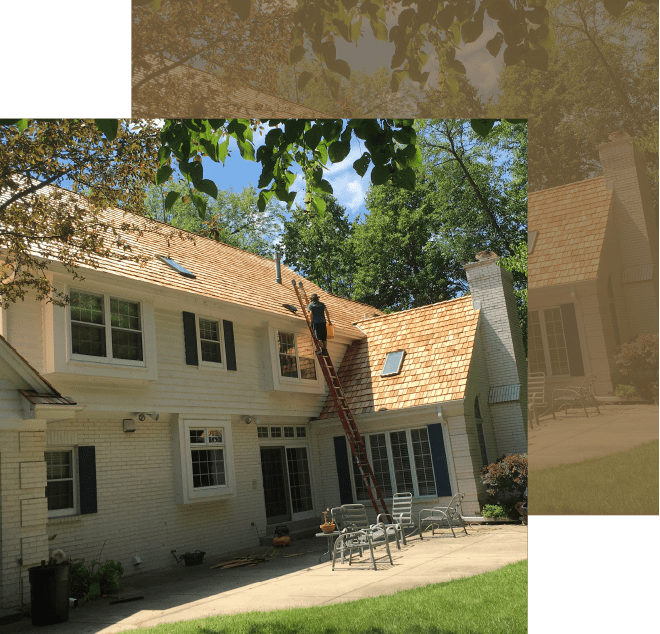 Twin Pines will be happy to answer all of your questions and explain the state of your roofing and gutters, as well as your insulation and siding. We’ll make recommendations for what needs to be repaired now, and help you plan for the updates you may need to make in the future. Whether the maintenance is big or small, our exterior professionals will take care of your home. Twin Pines is fully licensed, bonded, and insured, and we have an A+ rating with the BBB. If you’re ready for your roof inspection, contact us.